Description: This full 25 round box is date coded "DFT3" indicating April 6, 1040 loading date. Box shows light soiling with a few scuffs and a chip in lower corner of front label. 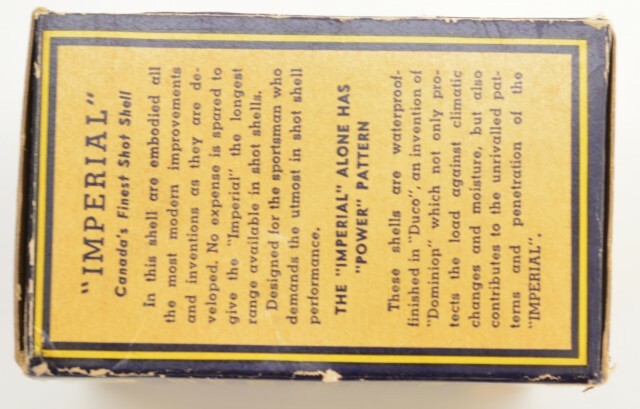 Box has handwritten notes on top flap, including loading date. 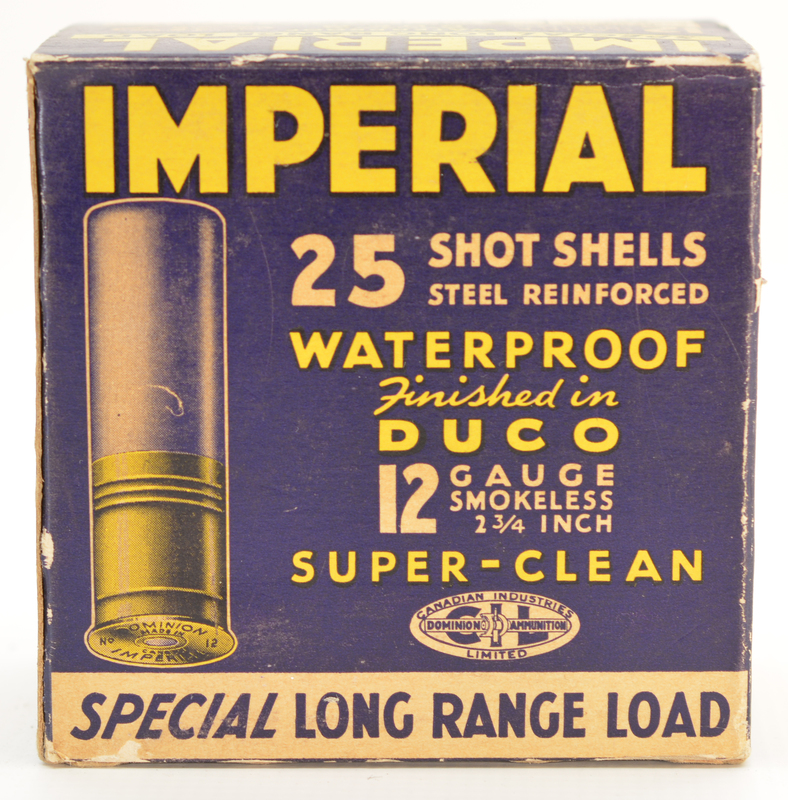 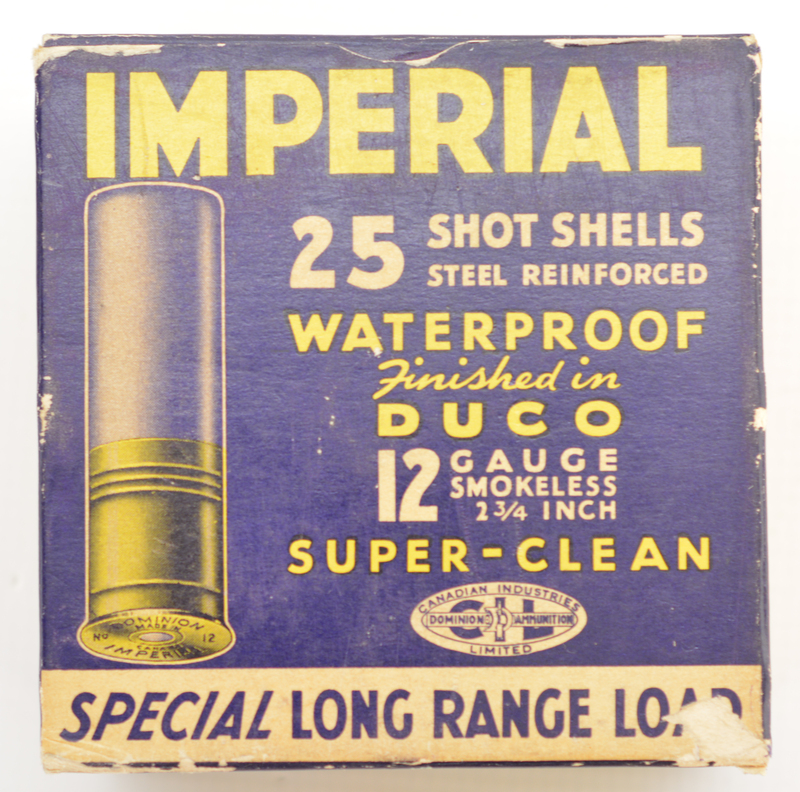 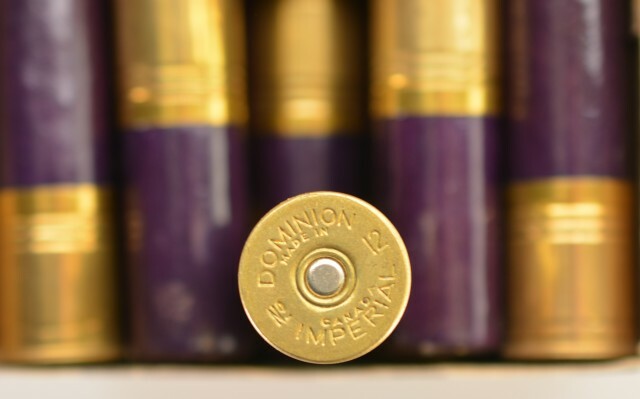 Box is full of correct high brass shells with purple paper tubes. 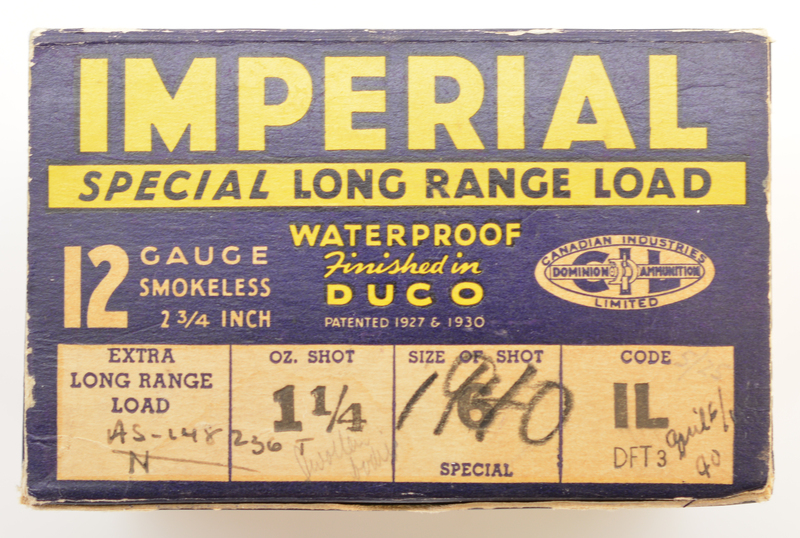 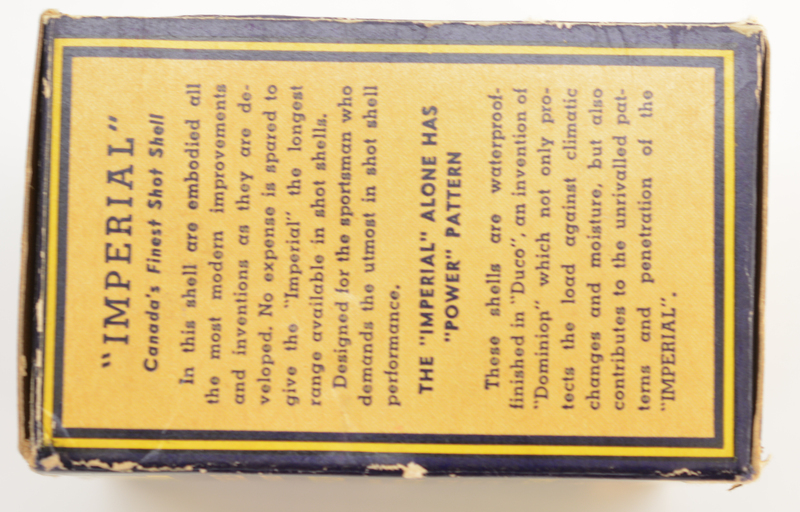 Tellow topwad reads "Special 6 long range Smokeless and headstamp is "Dominion made in 12 12 Canada Imperial" These feature steel reinforced and Duco callouts on label with CIL Bent D logo used from 1932 to 1950. 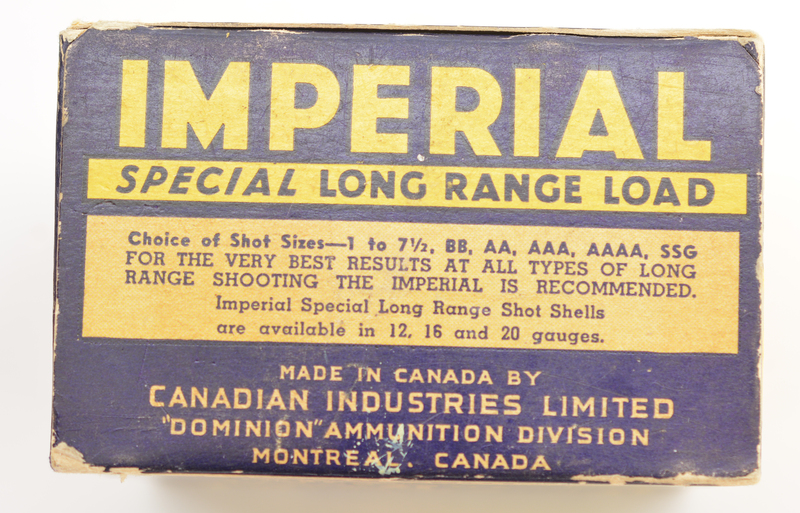 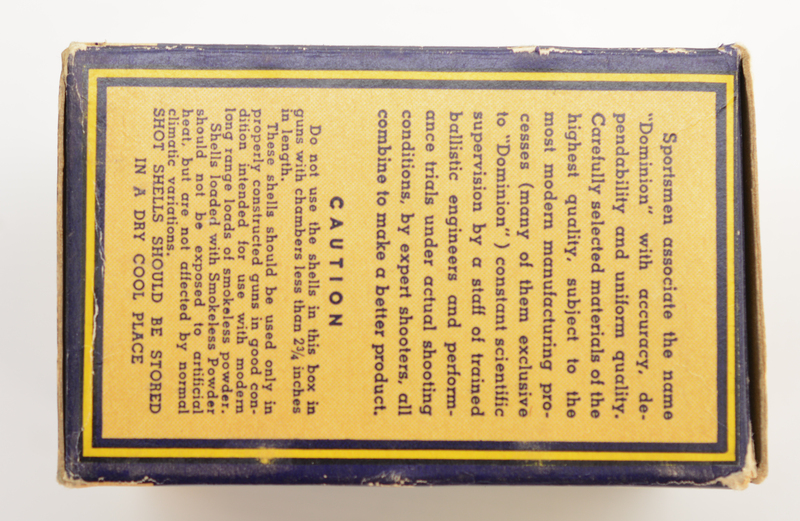 An attractive box for the collector, this was the high grade load in the CIL line.